Elaine and I were recently put in charge of events at Neptune Mountaineering. The emphasis has been on backcountry skiing (and some climbing) and building a ski culture in Boulder, Colorado. It's been a good run so far, with Chris Davenport, Christy Mahon, Simon Yates and Art Burroughs giving riveting, sold out shows the likes of which have never been seen in the shop before. 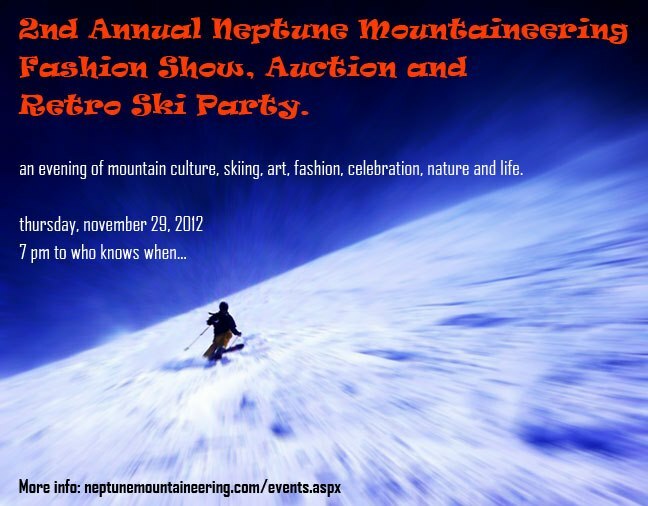 Tomorrow night it's on to Elaine's brain child, the Neptune Mountaineering Fashion Show. 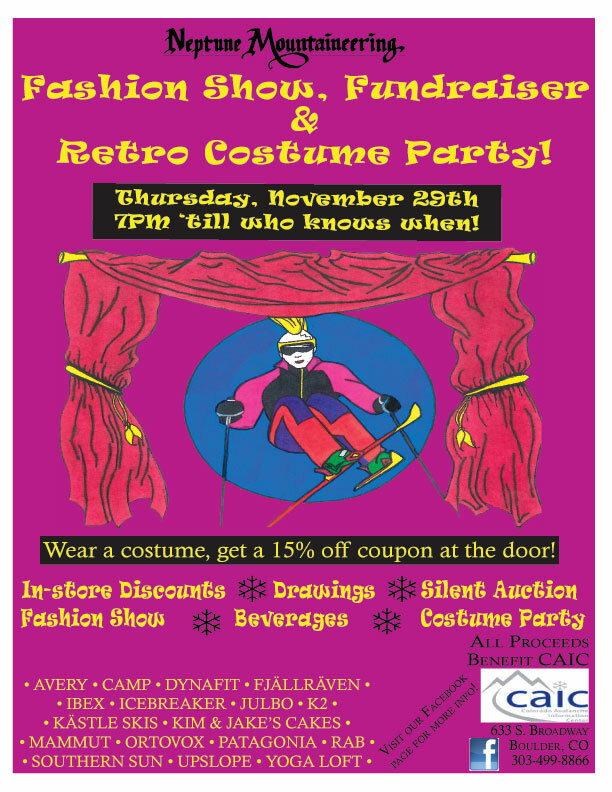 Simply put, this event is going to be awesome with tons of fun, give aways, retro-ski movies, music and a super colorful fashion show. It's definitely NOT what you'd think from Neptune Mountaineering. Basically, it's Milan, Italy meeting Independence Pass. We all know how fabulously creative Elaine is – Thursday night you'll get to see first hand her 22-year old genius. Yours truly is the MC – come on down to Neptune at 7 pm – it will be a blast.